On Thursday July 26th at 2333 hours, Box 17-24 was alerted for the house on fire in the 14500 block of Black Ankle Road near Unionville. The initial units on scene reported a single family home fully involved upon arrival and requested a rapid intervention dispatch and tanker task force. E152 (Capt. Conaway) and C15 (FC Nalborczyk) responded with 6 volunteers on the tanker task force assignment. C17-1 (Ritter) established the Black Ankle Road command and ordered an exterior attack as the structure was already failing. 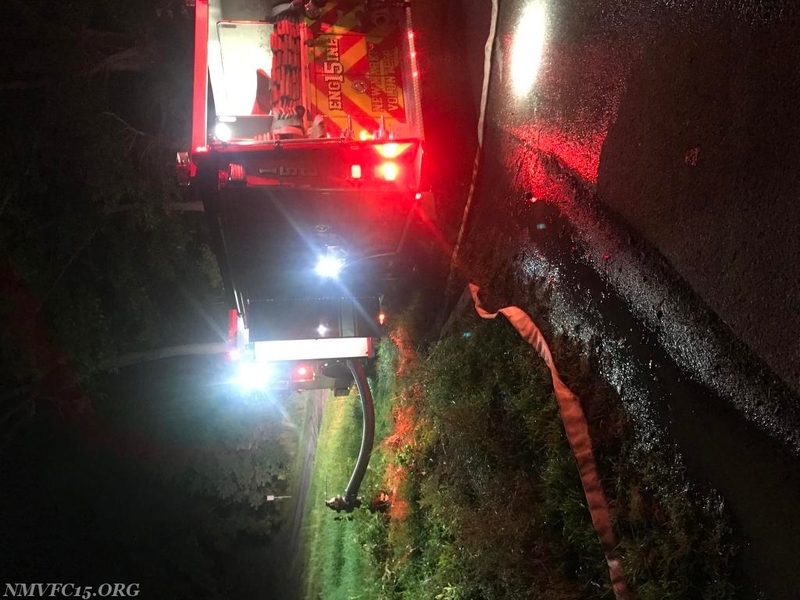 First alarm units attacked the fire with numerous hose lines, while simultaneously setting up for rural water operations and a tanker shuttle. E152 was tasked with establishing a tanker fill site and did so at the dry hydrant on Saint Benedict's Way. The engine company filled numerous tankers and supported the water supply operations for a few hours before the fire was declared out.